Mohammad obtained his Bachelor degree in Computer Science from Sharif University of Technology and his Masters degree in System and Network Engineering from University of Amsterdam. Currently he is a PhD student at the University of Amsterdam. Please visit his personal homepage for more information. Hodjat Soleimani Malekan is a Ph.D. student at FCN group. He received his B.Sc. from Amirkabir University of Technology (Tehran Polytechnic) and his M.Sc. in Systems Engineering from Iran University of Science and Technology (Tehran, Iran). His current research interests include Software Service Composition for Business Process Integration in Networks of Organizations. 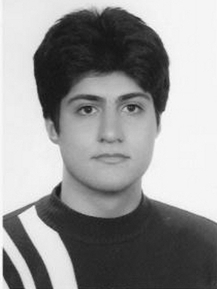 Mahdi Sargolzaei obtained his Bachelor degree in Computer Engineering (Software specialty) from Ferdowsi University of Mashhad (in Iran) and his Master degree in Computer Engineering (Software specialty) from the Amir Kabir University of Tehran (Polytechnic). At March 2011 he joined the FCN group as a PhD student of Computer Science at the University of Amsterdam to work on Service Discovery and Composition in Collaborative Networks. Mahdieh Shadi is a Ph.D. student of Computer Science at UvA. She received her B.Sc. in Software engineering from Ferdowsi University (in Iran) and her M.Sc. in Artifitial Intelligence from Shiraz University (in Iran). Since December 2010 she is at the University of Amsterdam (UvA) pursuing the Ph.D. degree in Computer Science under the supervision of Prof. Dr. Hamideh Afsarmanesh. Her current research interests include Collaborative Networks, Machine Learning and Multi Agent Systems.